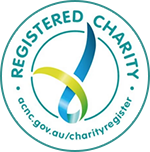 Overseas Services to Survivors of Torture and Trauma (OSSTT) was established by members of the Forum of Australian Services for Survivors of Torture and Trauma (FASSTT) in 2013 for the purpose of providing counselling and support to asylum seekers and refugees on Nauru and Manus Island. OSSTT is based in Adelaide, recruits and employs nationally and works internationally. In addition to providing counselling to individuals, children and their families, we also provide training to other service providers and education to local host communities on understanding and responding to the needs of torture and trauma survivors. OSSTT is affiliated with the Forum of Australian Services for Survivors of Torture and Trauma.